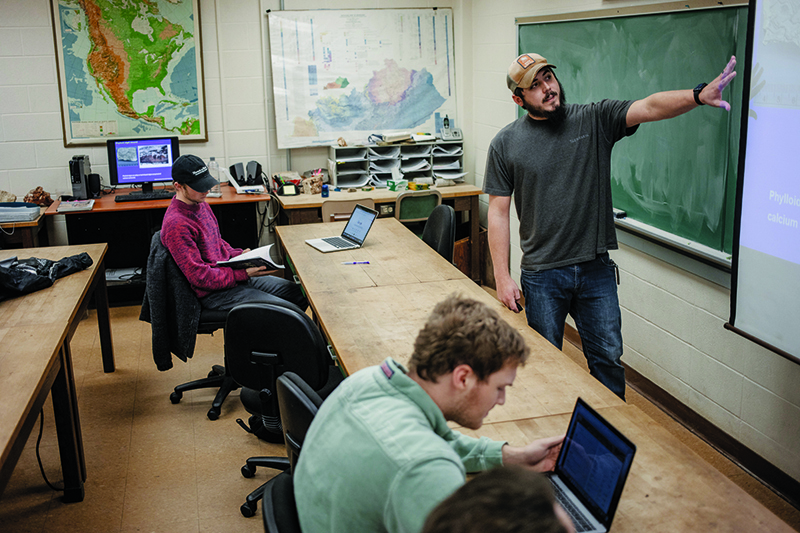 “I just try to make sure people have a goal,” says Mike Arthur, who just began his dream job as an exploration geologist for Exxon Mobil Corp.—but not without a few detours and stumbles. “I think that was it for me. When I first went to school I was just there. I didn’t have a goal. I knew I wanted to get a degree, but I didn’t have something I wanted to pour my energy into. “When I went the second time, I treated it like it was a job because to me it was. My job was to go there, get a degree, get good grades so I could get the career I wanted so I could take care of my family,” says Arthur, whose success in getting a geoscience master’s degree is featured in the main story. “So I tell people to keep a goal in mind. It’s not that the chemistry class is hard, and you can’t get the grades. It’s that you want to be a geoscientist so you need to do what you can to be a geoscientist. Mike Arthur was recently profiled by Western Kentucky University. Read the article.